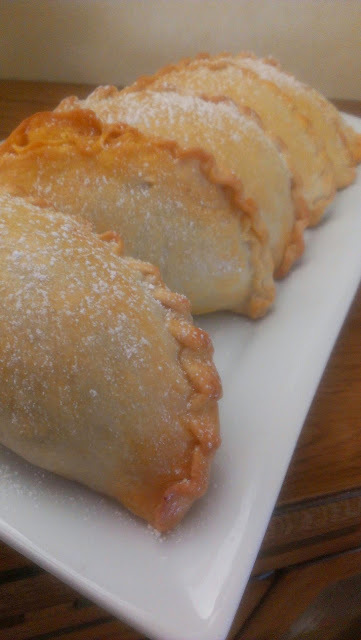 We made Empanadas today, and discuss the fact that in many countries the Empanadas are very popular, thou they vary from country to country just a little. 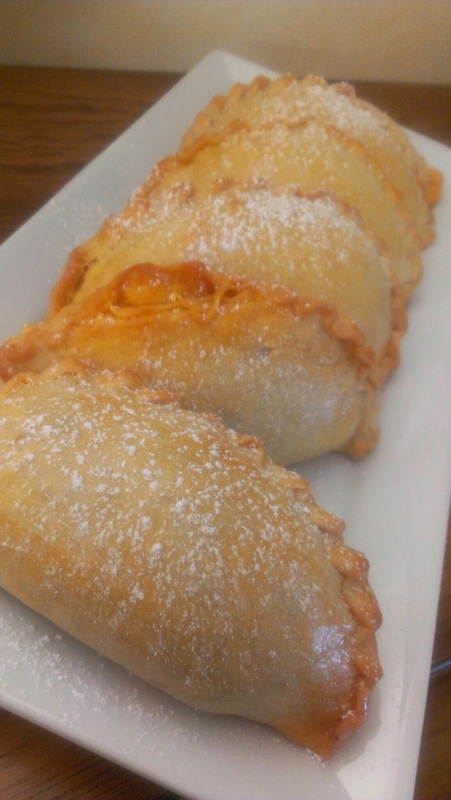 With the same dough we were able to please an Argentinean Empanada as well as Peru's. 1. Make the Sofrito with the onions and garlic, make sure to add the garlic when the onions are tender. Frie the garlic for at least a minute while stirring. 2. Add the aji and tomato paste and rest of seasoning ingredients. If the Sofrito looks dry add a little amount of water. 3. Incorporate the reserved grounded beef, add a little water and cook stirring constantly to make sure the sofrito flavors and the Beef blend into one. 4. Re-season to your taste make sure is juicy but not liquidy. Remember that is a filling and that if is to wet, it will don't let you seal the empanadas correctly. 5. Cool your filling before assembling the empanadas. 6. To assemble, roll your dough and cut out circles to your desire size. Brush circles with egg white. 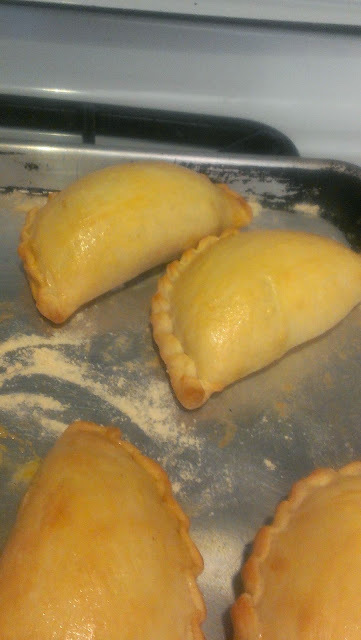 Place filling on center of the circle and close one side against the other, encase the filling allowing the empanadas to look like a half moons and then press the sides to seal, with a crinckle motion secure the sides. 7. Grease and flour a sheet pan and place the empanadas on it. 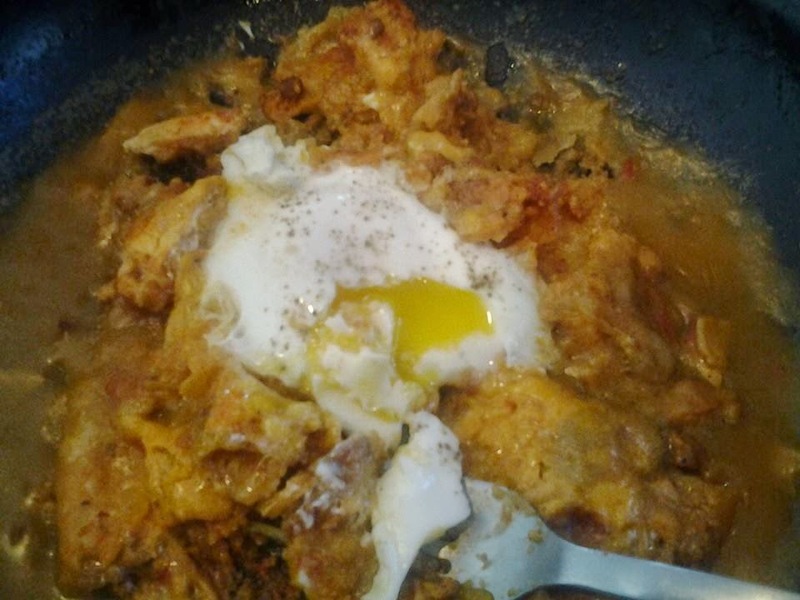 Brush the top of the empanadas with egg yolk & milk wash, or only yolk wash.
8. Place in a 400*F oven for about 15 to 20 minutes. They should be like a nice golden color. 9. When done, dust the tops with powder sugar and serve with a slice of lime. * this empanadas can also been deep fried. Deep fry in hot oil, help them turn, when they look golden, pull them out and allow a few minutes before serving. 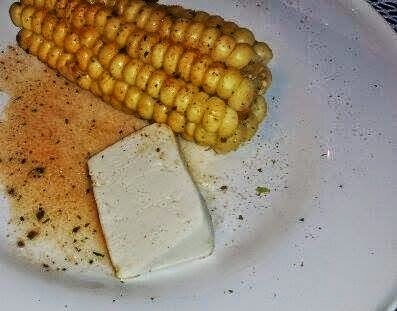 They eat them like this in Argentina. * vary your fillings with the addition of a little chimichurri, or maybe some cheese mix in with the beef, a yummy one is some chunks of blue cheese, but do not overwhelm it. * make empanadas ahead of time, freezing them very carefully in a greased cardboard, and then sealing them with plastic wrap, when ready to bake just do it straight from frozen to oven.